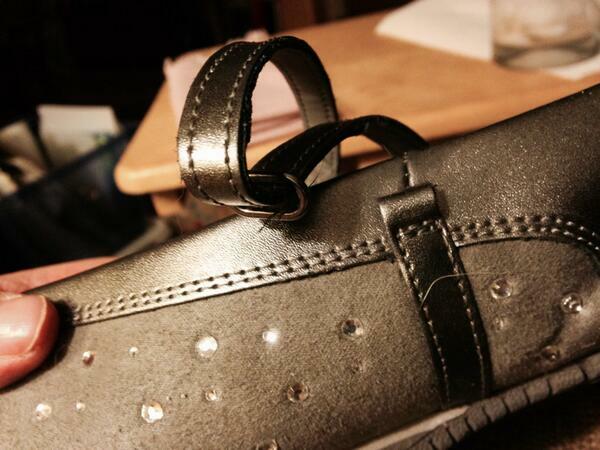 At the end of January I bought my silver- leather-bedazzled Skechers from Zappos.com. I couldn’t wait for them to arrive and once they did I immediately put them on, took a photograph and posted it to Instagram: “sparkly new #shoes !” I wrote. Oh how I loved those shoes. They were sporty and comfortable and they matched everything. I could walk in them. To the grocery store, to the bank, the post office. 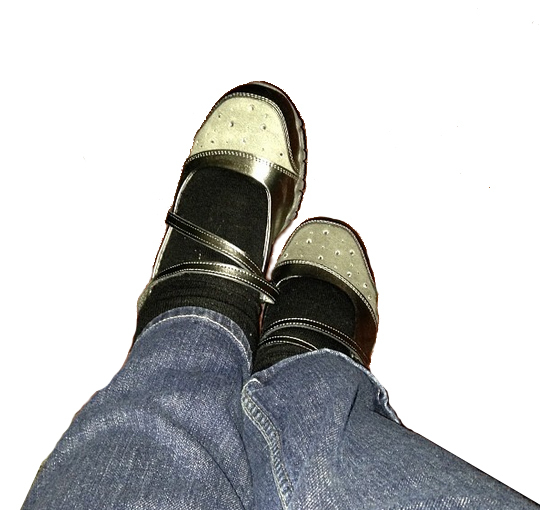 The perfect travel shoe– easy to slip on and off through the security line– I wore them to Seattle. 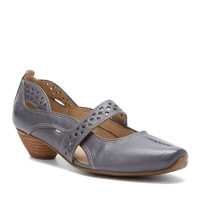 I could wear them with socks, with tights, and even with bare feet. The memory foam insert added a little bounce to my step. They made me happy. And then one day, less than two months later, they broke. For days they lay under the coffee table as if they were just waiting for me to put them on. I was in denial. Eventually I tossed them into the bottom of the closet, while I struggled every time I got dressed trying to decide which pair of shoes to wear. Sure, I had a nice pair of Josef Siebels that were comfortable to walk in, but they were kinda fancy. Yeah, I had a pair of good running shoes, but they were kinda boring. And I had a pair of Keds, but they were kinda worn out. My roommate suggested that I contact Skechers. “I’m sure they’ll send you a replacement pair,” she said. But I was waiting for the shoes to spontaneously repair themselves. As if. Finally, I tweeted a picture of them @SkechersUSA “love my new shoes. Sad they’re broken already” I wrote. And still it took me a few more days to pick up the phone. I was still in denial. The conversation went like your typical call to a customer service call center would go. Me, explaining that my two-month old shoes had broken. Dave, explaining that the model I’d bought was no longer available, that if I were to send in the shoe they would evaluate it to see if it is defective and if they determine it is defective they could send me a “comparable shoe.” Or I could call Zappos, he said, adding that they have a very generous return policy. I was polite, but the anger had started to settle in. I didn’t WANT to RETURN the shoe. I didn’t WANT a “comparable shoe” I wanted MY BEDAZZELED SHOE. The one that had traveled with me to Seattle. The one that went with EVERYTHING. The one that was cute and sporty and I could walk in. The one that was going to be my spring fling, my summer romance! The one that was no longer available. LIFE IS SO UNFAIR! I WANT MY SHOES!! which I tweeted and Skechers told me to call their customer service, who told me to contact you. There is nothing in Skechers’ current line that is “comparable”. I do not want to return the shoes. I want them repaired and feel like a $60 pair of shoes should have lasted longer than 2 months of lite wear. So I’m wondering what–if anything– you can do for me. So what if I got my 60 bucks back. I still couldn’t wear my shoes. And I didn’t even get a good fight in with Zappos.com. They just caved. Issued a credit. And they were even cheerful about it. I’ll never leave the house again. I have no shoes to wear. Well, I had to go out yesterday. I put on my tennis shoes. There was a little bounce in my step. And today, I googled shoe repair shops. There’s one about a mile from my house. Maybe I’ll put on my tennis shoes and walk over there. Or maybe I’ll go to Zappos.com. I have $60 dollars to spend!